We held our annual Strategic Planning Weekend on 13-14th April 2013 at the Community Hall and local Library, respectively. 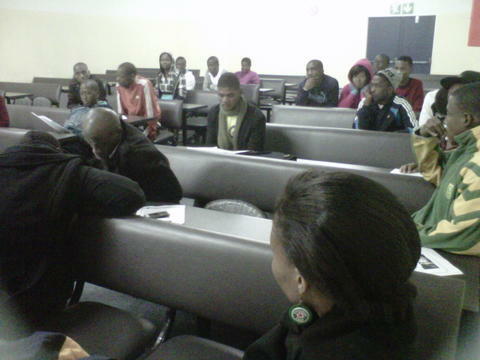 We had 3 tutors and 41 learners in attendance on the first day; while we had 24 learners on the second day. 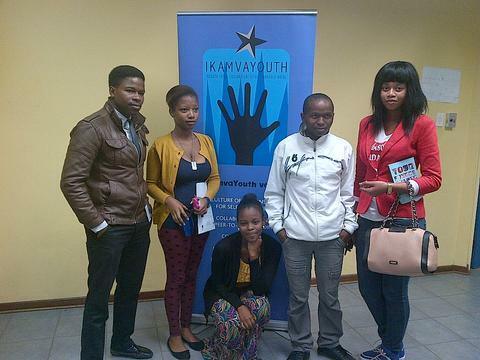 Those who attended and participated, displayed understanding and knowledge of Ikamva Youth as well as willingness to effect change. 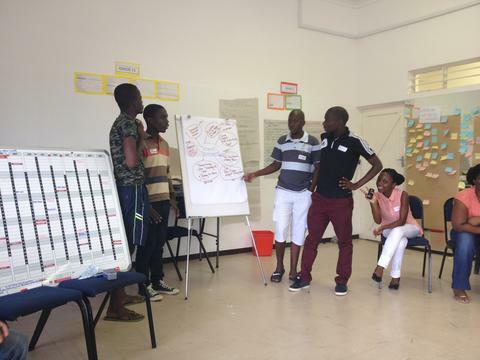 The two days was filled with a lot of programmes, activities and games> On saterday, we looked at our vaulues, mission and vision, history of Masi branch its (timeline) then later on moved on to vision and time management. Lunch time came, and after that we focused on the swot analysis and looked at what the promblems a we face as a branch, our learners voiced themsleves and expressed their concerns but they excellently came up with solutions with the help fronm our tutors as well. We closed our Saturday session on a high note everyone sharing what they enjoyed and learnt for the day and checking out. On Sunday we focused on our portfolios and we elected the Masi branch com. All the portfolios were filled up with two members or more. 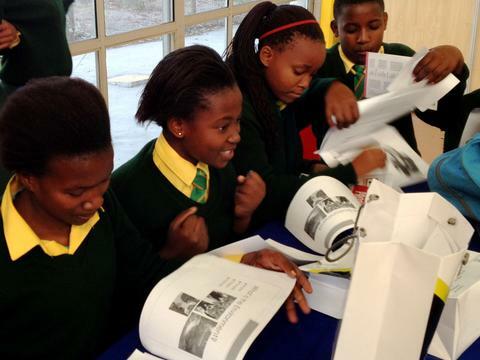 The learners in each portfolio discussed what it entails to be in that particular portifolio and what is required from them, they successfully accomplished the task and they came up with great ideas with the help from other learners. In closing, the SPW was a resounding success, having achieved its objectives and aims as well as forging good relations between the organisation, it’s learners and partners. We are incredibly excited about the future of the branch and the immense potential which is evident in the lives of the learners. We would sincerely like to thank the following for their labour of love and enthusiasm in making Masiphumelele branch what it is:Liesel Bakker; Susan Alexander; Community Hall and Library staff. 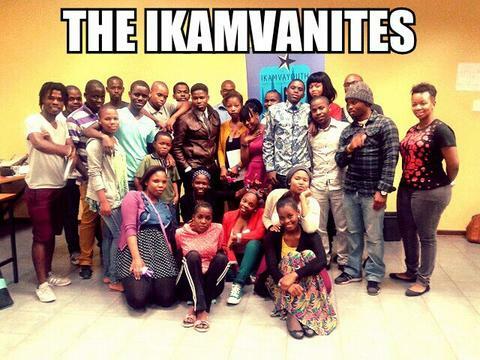 A special thanks to our sponsors: the kind donations of Woolworths Foods, Fish Hoek and McDonald’s, Sun Valley, we were able to feed our hungry Ikamvanites for the duration of the weekend and this included delicious dessert. A special thanks to Veronica, librarian assistant at Masiphumelele library, for cooking a scrumptious chicken curry. 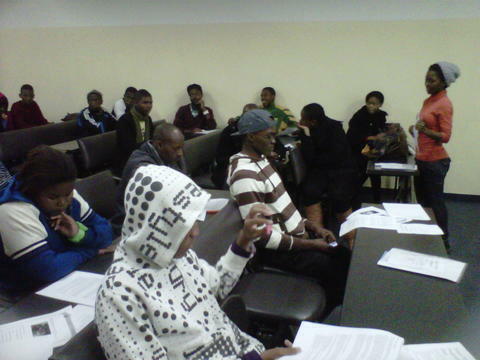 The weekend of the 20th of April saw Chesterville hosting its annual tutor training session at the Steve Biko campus at DUT. This tutor training session had been planned from the SPW weekend and to see it come alive in the way that it did made it an eventful day for all involved. With a high number of new tutors this year, this experience was going to contribute to them being more knowledgeable about tutoring and IY’s oh so prevalent and distinct 1:5 ratio. The session began with an icebreaker that at the end of it, all tutors were lightened up and ready to begin the session. Nelisa Luhabe (Branch Coordinator) welcomed everyone with open arms and set the tone for the day. The team began with revising and asking questions regarding information on the tutor training guide, Cheryl Nzama (Branch Assistant) and Nelisa then guided the team with answers and outlined the essentials of tutoring and how to deal with learner dynamics as a tutor. The tutor training guide also emphasizes all aspects that one needs to know in order to be a diligent tutor for the branch. Fast forward to the activity “how to park a car”, if you are familiar with this activity then you would know how important it is that it be included in our tutor training session. In short the activity aims to help the tutor and everyone involved to know how to analyse a situation, share opinions in a group, to actively listen and most importantly to give each learner in that group equal attention. This activity saw tutors having what some would call “aha moments”, they better understood that no two learners are the same, that each learner understands/develops at a different pace and that for a tutor, it’s ok to say “I don’t know however I will call in another tutor to come in and assist” and that is how one of our values “peer to peer support” starts showing up. Working in an environment with learners and tutors means that everyone needs to be armed with knowledge on how to deal with conflicts and the likes. So the activity ‘Metaphor of fire” tackled that in every sense. The day ended with everyone carrying the responsibility of ensuring that Chesterville still maintain its 100% matric pass rate and to also focus more on making sure that all learners produce quality marks in all the grades. Tough ask! however with commitment and diligence from everyone involved, what’s impossible again? Nothing!! 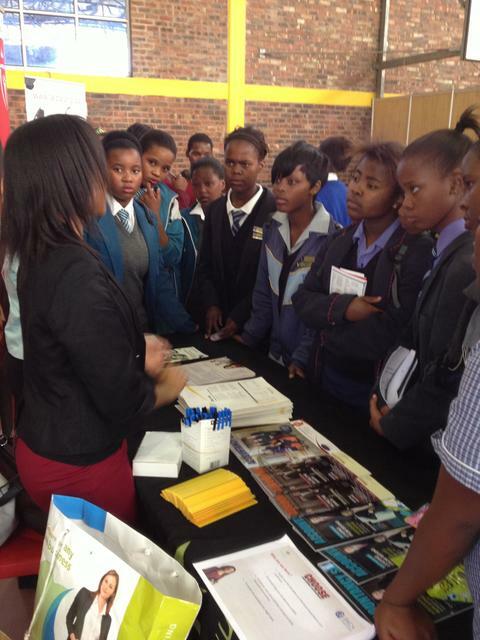 This years Careers Indaba, organised in partnership with Equal Education and SAEP, saw nearly 1000 leaners come though the doors of the Zolani Centre, all coming to gain valuable exposure to organisations, workshops and other important resources. The aim on the Indaba is to provide learners with information that will assist them in making informed decisions; a fundamental step in fostering a mind set in the youth of South Africa of pro-active future orientated thinking. It is challenging to dream of a better future and to aspire to goals without knowing the realities of these goals and the opportunities that are available. 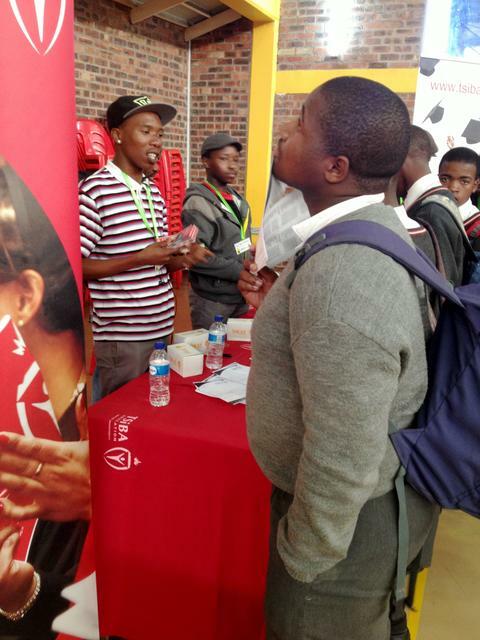 The annual Careers Indaba is a chance for leaners to obtain information on where to continue their studies, start working; find out about on the job training, as well as alternatives to studying through volunteer programs or internships. It gives them a chance to investigate their options and talk directly to the people who are able to guide them in the right direction. In addition Career Planet and Kayin from SAEP also offered workshops on CV building, interview techniques and personal development. Skills that are needed wherever your path takes you. 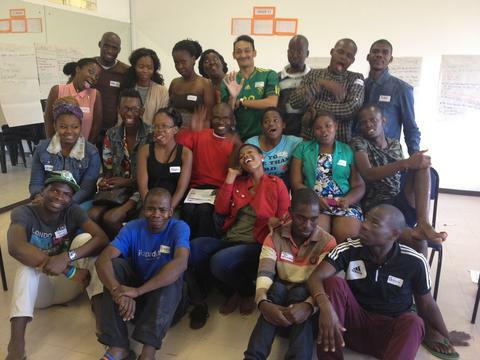 Sikelelwa, “I have learnt that education is your ticket to success and you have to have dreams in order to succeed. Everything you do is all about knowing what you truly want out of life. 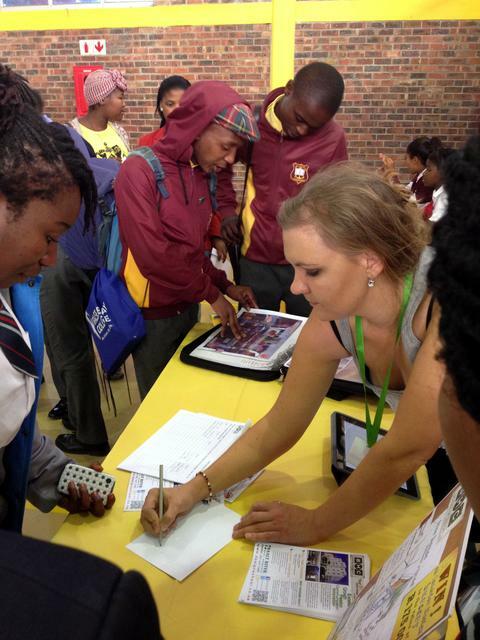 The day would not have been possible without our amazing partnership with Equal Education and SAEP – big up to them! 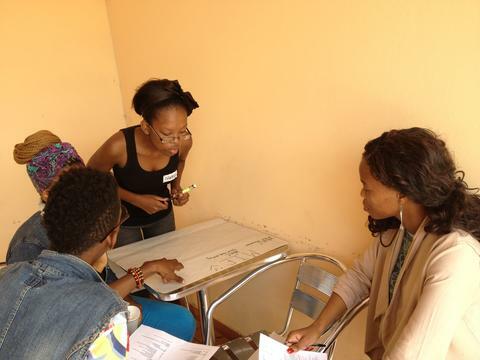 On the 20th and 21st of April, Umlazi held its first ever SPW. 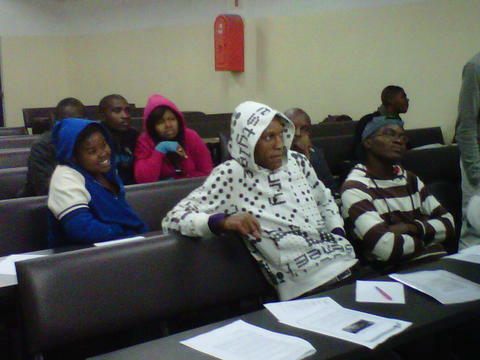 Attendance was good as the event was attended by over 20 volunteers and 4 learners from across the grades. Saturday kicked off with a little activity to get the blood flowing and energy levels a little higher, the ground rules and expectation were outlined by the team and put up on the walls. 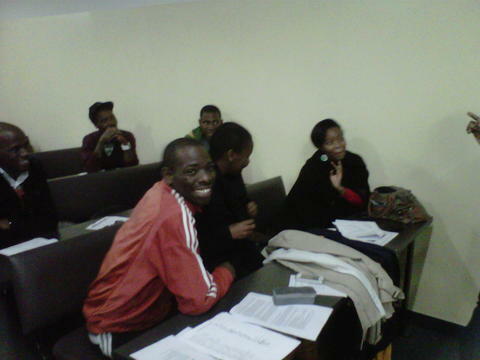 After we spoke about the Timeline of IkamvaYouth, the team broke up into groups and we got into the values discussion. Each group of 4-5 had one value to look into; they discussed what it meant to them and how it shows up at the branch. The remainder of Saturday was spent going over the current issues at the branch. 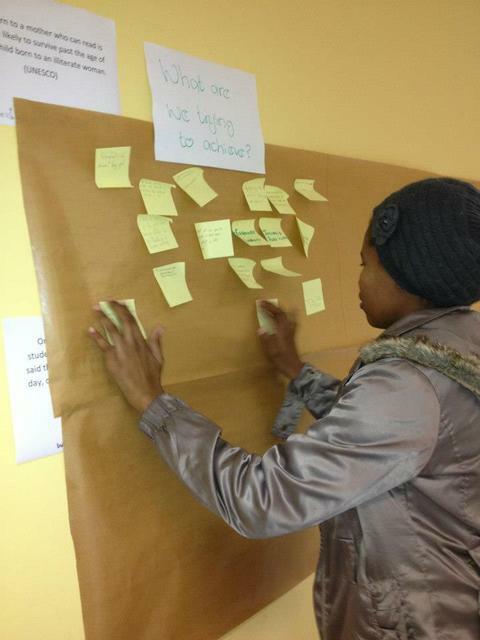 Everyone had a chance to put their view/concern on paper and stick it on our working wall. We also managed to cover overviews of the various portfolios and their functions. 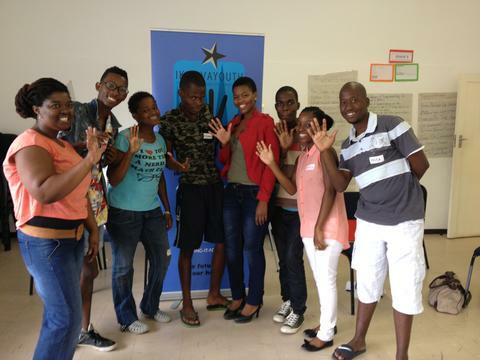 Day 2 saw the team going through the budget and nominating and voting for the 2013 portfolio heads. Once the portfolio heads were elected, they each had a group work with them to discuss the objectives for the year for each respective portfolio. After lunch, each team presented their work to the team and took questions from everyone. That saw us come to the end of our very first SPW. We are looking towards building on the energy of the event, especially the new tutors who say the experience was inspiring and informative for them. Everyone seemed to be very amped throughout the weekend; the energy was good and productive. The team managed to cover everything we had hoped to go through with the participants, and quite a lot of ideas and objectives were put on the table. Now it is time to put all our ideas into action. 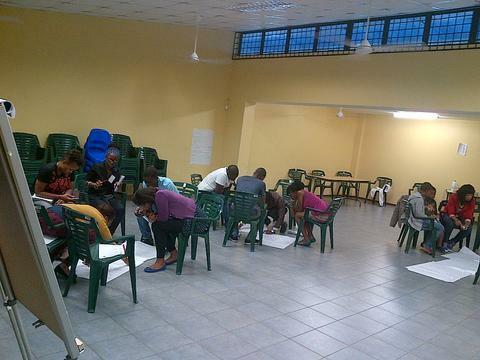 The Chesterville branch held its Strategic Planning Weekend (SPW) on the weekend of the 16 & 17 March. The weekend was a great success given that a new Branch Committee was voted in and plans were put in place by the end of the weekend. Present at the event were tutors, learner representatives and staff of IY. 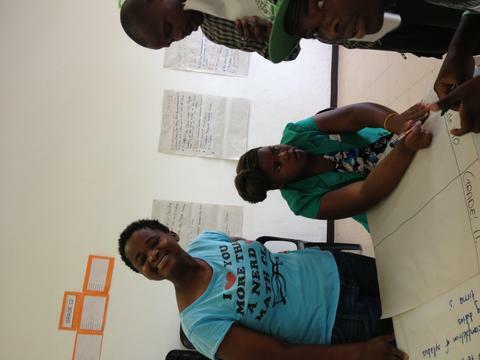 It was exciting to see how learners and tutors have taken ownership of the programmes. There was clarification of all portfolios and what role the portfolio heads who would be voted in would play. They were enthusiastic about putting plans in place for the year and learning from what either went wrong or didn’t happen last year. It was helpful to have experiences to learn from and to see that people had actually seen the light and they knew what was needed to improve this year. Commitment was highlighted as a vital thing in seeing these plans through this year. There was a lot of hardwork and fun at the same time. We are looking forward to an eventful, fun-filled, educational and busy year ahead!